A westbound Canadian Pacific freight just east of the Tamarack crossover. 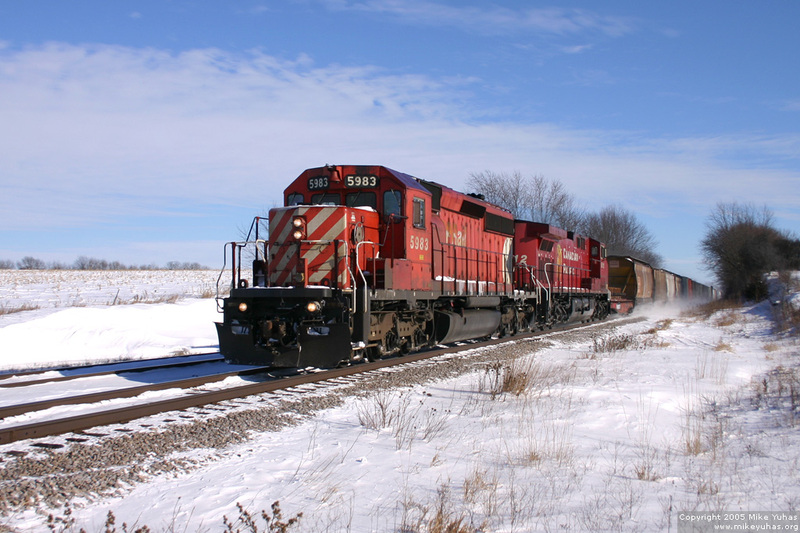 Thirty-five cars trail the SD40-2/AC4400CW combo. The detector reported a temperature of 29 degrees.